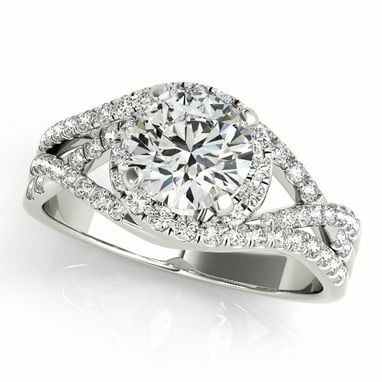 This 14k White Gold bridal sets features a wonderfully unique twisted design. 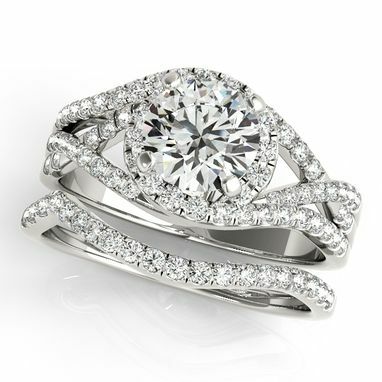 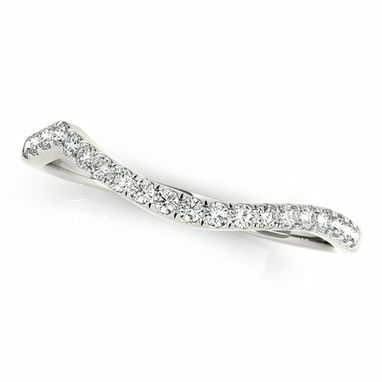 The shank of this preset engagement ring is split into three rows with a twist design that forms a halo around the center stone. The center diamond is a round, prong set diamond, while the diamond side stones are round and pave set. 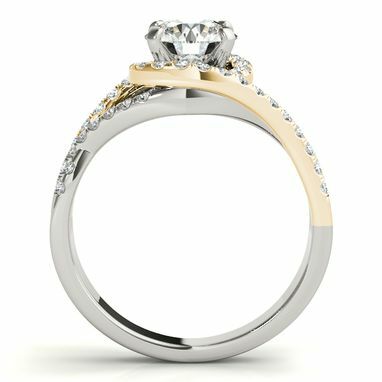 With pave set diamonds and a contoured design, this wedding band fits perfectly with the engagement ring. This brilliant bridal set has a total of 1.12 carats.